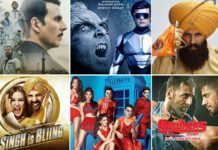 Akshay Kumar Box Office Report Card: List Of Hit, Flop & Blockbuster Movies Of Akshay Kumar Since His Debut In 1991. Akshay Kumar is one of the biggest superstars of the country. In a career span of 25 years, he has worked in every type of movie, action, comedy, drama or romance. He is unarguably the most versatile and energetic actor of Bollywood. From Saugandh in 1991 to 2.0 in 2018, the actor has worked in as many as 114 movies, far higher than Salman Khan, SRK, Aamir Khan and Ajay Devgn. 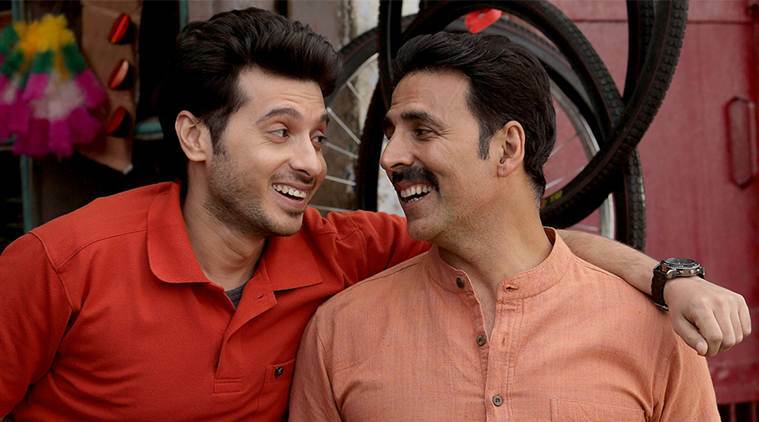 Fondly named as Khiladi Kumar, Akshay is going through a dream phase of his career. His movies are breaking records at the Box Office. Seven out of his last eight movies have earned 100 crores at the domestic box office. Akshay has been inconsistent as far as Box Office performance of his movies is concerned. From 1997 to 1999, he delivered five consecutive flops. From 2006 to 2008, he delivered six consecutive hits. Akshay has delivered ten 100 crore movies, second-most by a Bollywood actor. 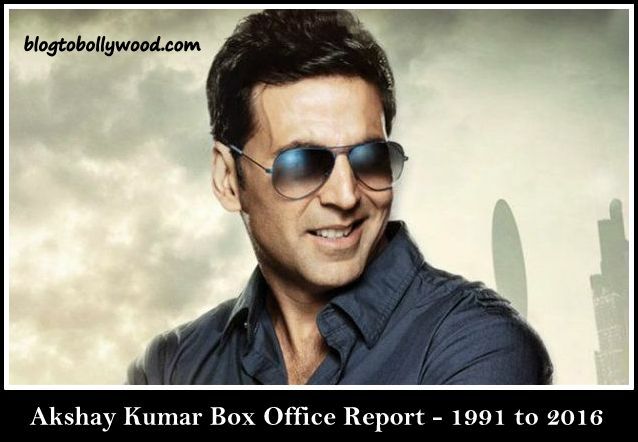 Let’s have a look at Akshay Kumar Box Office report card since his debut in 1991. Our remarks: Akshay has been inconsistent throughout his career. But he has improved his success ratio in the last 5 years. In fact, he hasn’t delivered a flop film in the lst five years. The fourth best success rate after SRK, Salman and Aamir. 1) He has the second most 100 crore movies (10 movies) after Salman Khan who has 13. 2) Akshay Kumar is yet to deliver 200 Crore grosser. 3) The actor has delivered only two blockbusters in a career span of 27 years. 4) With the total collection of 3660.4 crores, Akshay Kumar is the highest grossing actor of all time in Bollywood. Akshay Kumar is the most active actor in the industry. He is consistently delivering 2 to 3 movies in a year. His upcoming movies include big names like Kesari, Housefull 4, Good News and Mission Mangal. 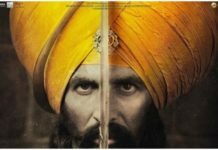 What are your views on Akshay Kumar box office report card? Share your thoughts with us in the comments section. Keep following us as we are coming with more Box Office analysis and reports. Akshay kumar is definitely becoming top star day by day as he is doing different kinds of role in every movie. Akshay has a total of 64 successful movies out of 114 movies mentioned by you..Below Avg. and Avg. are considered breakeven successes.The rest 50 are flops/disasters. Success % is around 56,which is great considering the volume of movies in his filmography.This will only improve from here on. He has the highest number of hits/successful movies than all other superstars of all time. Not to forget,combined total of all his movies is more than 3600cr which is enormous and again more than all other superstars of all time. He has delivered 4 hits in a year twice in 2007 and 2012.Five consecutive 100 cr grossers during 2016-17.His last 9 movies are back-to-back successes.He is the only current reigning superstar who gave maximum successful movies in a single year-1994. The only wall that is left unpainted is 200 -300cr grossing blockbusters in his already accomplished career.This too is achievable as we have entered 2019 and his slate of movies look interesting and are bound to score.